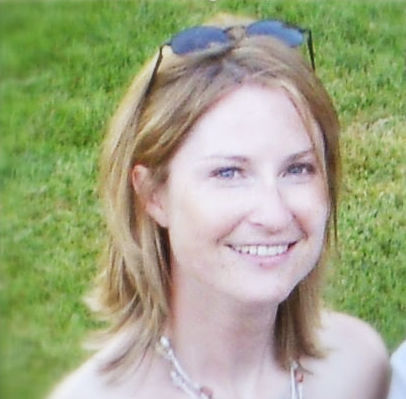 New superstar VIATeC BoD member and Victoria returnee Elizabeth Dutton is our Tectorian of the Week. Elizabeth Dutton may be most well-known for leading local ecommerce company UsedEverywhere.com, the popular network of free classified sites known (and loved) locally as UsedVictoria.com. Since 2011, under Dutton’s leadership, UsedEverywhere has grown from 65 sites to over 90 sites in 3 countries. The online shopping has become the go-to place for finding whatever it is you need in your life, quickly and efficiently. Dutton is also a talented Tectoria returnee: she grew up in Victoria and went to Ontario to attend Queen’s University. She then spent eight years as a strategy and implementation consultant in Toronto and the UK helping her clients increase revenues by focusing on their customers, often through the use of online strategies. When Dutton returned to North America, she was recruited to work at Amazon in their books division where she negotiated with many of the top publishers during the growth of Kindle and ebooks. And now Elizabeth Dutton sits on the VIATeC Board. We’re pleased to welcome her, and forward to working with her for the next two years! VIATeC has revealed the latest “VIATeC 25.” The VIATeC 25 is an annual list of the largest technology companies headquartered or founded in Greater Victoria, based on reported calendar revenues. This is the latest list of the largest technology companies headquartered or founded in Greater Victoria based on reported 2013 calendar revenues. Use the VIATeC Business Directory to quickly learn more about these companies. The combined revenues of the VIATeC 25 (the Victoria tech sector’s 25 biggest firms, according to revenues, that are founded or headquartered in Victoria) has reached $1.16 billion. This is 20% growth in combined revenues based on 2013 reported revenues. VIATeC 25 companies collectively employee 3,630 employees. On average, a VIATeC 25 company generates $46.3 million annual revenues. The median revenue generated by a VIATeC 25 company is $17.5 million. Learn more about the economic impact of Victoria’s tech sector here. 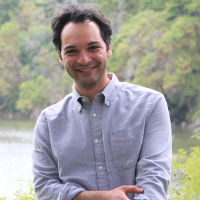 Our Tectorian of the Week is Aidin Tavakkol, co-founder of Victoria ecommerce startup LimeSpot. Tavakkol represents all of Victoria’s latent potential as a place to launch and grow a technology company. What has Tavakkol built here in Victoria? Tavakkol and his team have launched LimeSpot, a personalized web experience that is intended to “bring the social back to social media.” For starters, LimeSpot’s technology creates a more efficient shopping experience by instantaneously displaying products that customers are most likely to buy. A software engineer by trade, Tavakkol had already spent a decade helping build Iran’s second-largest software company before deciding to head to Victoria to do something new. Tavakkol says achieving success back home, he felt his calling was to explore the world in order to accomplish something even bigger. So, Tavakkol took a chance and joined his sister here in Victoria. Like many Tectoria tech entrepreneurs, Tavakkol was attracted by Victoria’s great weather and a variety of high-powered, world-class university programs. Tavakkol received his MBA this past spring from the Gustavson School of Business. At the same time he was completing his studies, he was busy building LimeSpot. While studying at UVic, Tavakkol encouraged his friend and future LimeSpot co-founder Majid Ghaffari to join him. At UVic networking event, the pair’s startup idea caught the eye of Paul Summerville, a business professor and mentor at the the Gustavson School of Business. Like Tavakkol, Summerville, who has enjoyed a stellar career working in investment banking and has served as chief economist with two major multi-national financial institutions, is also a talented transplant who has chosen to call Tectoria home. Soon after connecting with Tavakkol an Ghaffari, Summerville was on board as the third co-founder and LimeSpot was incorporated in April 2013. Fast forward just over a year: LimeSpot today has 15 employees around the world and has successfully raised a healthy dose of seed financing from private investors locally, in the United States and the UK. Tavakkol and his teammates at LimeSpot have used this time to apply their software engineering expertise to patent a powerful “personalization and recommendation engine” that is powered by an individual’s social network profile. The end result is to provide a personalized web experience that provides highly relevant results and recommendations. Improving ecommerce and online shopping is an obvious match for LimeSpot’s technology. So far, Victoria-based LimeSpot has inked agreements with major ecommerce players including Shopify, PayPal, and Bigcommerce. A lot has changed in the 18 months or so since and his co-founders launched LimeSpot. Tavakkol and his team have raised enough equity to develop and launch their first commercial product offering. They have beefed up their in-house technology, have created a US subsidiary, and have established a global sales engine. LimeSpot has also hired a CEO, tech veteran Bob Bell. In this whirlwind of activity, it’s easy to forget that when Aidin Tavakkol decided to do something big, he decided to do travel to Tectoria to do it. We’re excited to see what LimeSpot does next. 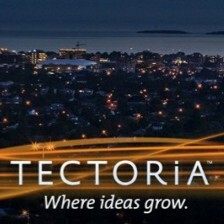 Our Tectorian of the Week is Greater Victoria’s tech sector. To mark the launch of Fort Tectoria this week, we decided to crunch some numbers (actually, we went out and spent time surveying local companies and then commissioned an independent professional researcher to collect and analyze the data using a rigorous methodology) about the size and scope of Greater Victoria’s tech sector. That’s right: according to our latest economic impact study, the 884 local companies that make up Greater Victoria’s advanced technology sector now generate an estimated $3.15 billion in annual revenues. The total economic impact Greater Victoria’s tech sector has on our local economy now tops a whopping $4 billion ($4.03 billion to be precise; see below for an explanation of “total economic impact”). The combined revenues of the VIATeC 25 (the Victoria tech sector’s 25 biggest firms, according to revenues, that are founded or headquartered in Victoria) has reached $1.16 billion over the past year. That’s 20 per cent growth in combined reported revenues to since this time last year! The latest VIATeC 25 companies are listed here. What a way to launch Fort Tectoria! And it’s all thanks to the Tectorians like you who power our ever-expanding tech sector. VIATeC has been commissioning economic impact studies for the past 10 years, and since 2004 it is apparent growth in the tech sector is continuing to accelerate. In 2004, VIATeC, with the help of an independent researcher and analyst, estimated tech sector revenues to be about $1 billion. Five years later, a 2009 economic study that VIATeC commissioned estimated the sector’s revenues had grown to $1.95 billion. And now in 2014, we estimate the tech sector annual revenues have grown to $3.15 billion. Estimated economic impact has grown explosively as well. In 2009, the estimated economic impact of the tech sector was $2.6 billion. And now in 2014, the estimated economic impact has grown to a staggering $4.03 billion. We want to point out that these are conservative estimates: we’re always wary of statisticians using multipliers to determine economic impact. Depending on which methodology one uses, the economic impact numbers could be higher. According to VIATeC’s just-finished economic impact study, Greater Victoria’s tech sector that now directly employs 15,000 people as well as more than 3,000 consultants and advisers, and another 5,000 individuals working in technology for companies outside the high-tech sphere. That’s 23,000 people working in the tech sector, making Victoria one of Canada’s more fun and vibrant places to launch a career or a new business. And that’s why you all are our Tectorian of the Week! The direct impact – representing the total output (revenues) directly generated by companies in the sector – is estimated at $3.15 billion. The indirect impact – representing the impact of those businesses who supply inputs to the technology sector – is estimated at $876 million. Combined, the total economic impact of the high technology sector within the Greater Victoria region is estimated to be $4.03 billion. What makes Insight, Design, Sustainability, Innovation, and Sociability so critical, and why should your brand harness these key guiding principles? According to Tectoria’s own Marc Stoiber, these questions form the five pillars esssential for “future proofing” brands keen on seizing the future. A familiar face at Royal Roads University, Marc writes on brand innovation for Huffington Post, Fast Company, GreenBiz and Sustainable Life Media. He also speaks on the subject from coast to coast, and has been featured at TED. His work on Mr. Clean earned his team the Procter & Gamble Worldwide Turnaround of the Year Award in 2005. A Royal Roads instructor, Marc consults for clients including British Columbia Government health care and BC Hydro. Before embarking on consulting, he was vice-president of green innovation at Maddock Douglas, founder of Change Advertising, National creative director of Grey Canada and creative director of DDB Canada. These days, Marc Stoiber works with our friend Jude Brown as a creative strategist, entrepreneur, green brand specialist and writer, building resilient, future-proof brands. According to Marc, a global expert network is, as the name implies, a network of smart, specialized idea people you can call upon to guide your thinking. In Marc’s case, his global expert network is at the C-suite level, generally entrepreneurial, with strong brand experience. In short, Marc helps people all over the world forge a more enlightened path forward and helps them guarantee the continued viability of their business. And he does it all from right here in Tectoria. We’re so excited to hear him speak next week!